This question was put to China experts on Quora, our special editor for Asia Affairs Godfree Roberts answered it, and then all hell broke loose. Godfree reports that, “Quora collapsed this after howls of complaints.” Here it is so that it may not be “disappeared.” For the record. Students and PLA face off—peacefully. Tiananmen started with race riots. The ending of Mao’s tuition subsidies–for families whose education had been long denied–crushed the dreams of millions who hoped for a university education. But it was the government’s decision to maintain African students’ financial support that touched off the first riots. Erin Chung tells of Chinese students rampaged through African students’ living quarters, injuring many while thousands of demonstrators in Nanjing chanted demands for reform, holding signs like “Kill the black devils!” and the anti-African demonstrations spread to Shanghai and Beijing. Late at night on April 19 in Beijing, student militants marched on Party leaders’ living quarters at Zhongnanhai screaming insults at Deng, yelling “Kill the foreigners!” and carrying banners like as “No Offend Chinese Women”. But apart from vague demands to return to Mao-style democracy, the students’ reform programs were pedestrian and tension was low. As Lee Feigon relates, “The police seemed remarkably tolerant, unflustered by the constant jeering and screaming. Many who watched doubted that the American Secret Service would have reacted so genially if a similar mob were battering on the gates of the White House in the middle of the night. This was carried to an extreme at about 2:30 a.m. when the police tried to clear the crowd and some of them were pushed back onto a cluster of fallen bicycles. One tough picked up one of the bikes and smashed it over the head of one of the police. He was not arrested”. Intra-government squabbling reflected the turmoil. Deng’s opposition remained powerful and, as his privatization policies inflicted their inevitable pain, opponents rallied, demanding reversals and reforms. Conservatives and liberals struggled to implement their own, self-conflicted policies then, coincidentally, Hu Yaobang, an official much loved by the students, died, leaving no-one they trusted to respond to them. 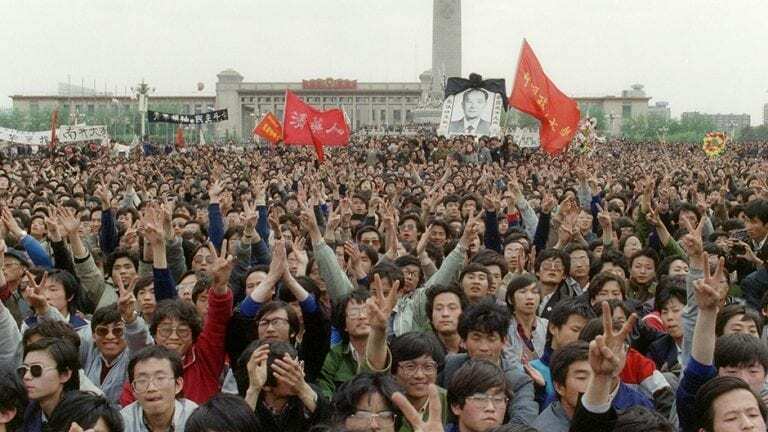 Demonstrations became more serious when student rebels marched into Tiananmen Square on April 26 singing the Communist Internationale and holding aloft portraits of Mao. Lee Feigon gave this eyewitness account, “The leaders of a prominent student group hung big pictures of Mao in the tents they pitched on the square. They talked openly and boldly about the good old days of the Cultural Revolution. Mao, they felt, had the right ideas, although he sometimes used wrong tactics. Now they were determined to use what they considered the right ones”. Like America’s New Left in the 60s, whose dreams died in the Kent State massacre, China’s New Left knew the value of provocation. They not only expected repression but openly hoped that their actions would provoke it. To their surprise, they provoked only sympathy from the Party’s reform wing who hailed them as bearers of the spirit of ‘socialist democracy,’ gave them a front-page photo spreads and adulatory coverage in the Peoples Daily, which ran six front-page stories with headlines like, “A million from All Walks of life Demonstrate in Support of Hunger-Striking Students,” “Save the Students! Save the Children!” The Guangming Daily ran front page stories with headlines like, “The conditions of the students and the future of the country touch the heart of every Chinese who has a conscience”. At the height of the turmoil, top Party leaders met the rebels and CCTV broadcast the meeting nationwide to millions of Chinese sympathetic to their demands for an end to the corruption and crime that Deng’s reforms had unleashed. A week later, on May 18, Russia’s President Gorbachev arrived for a state visit but support for the students was so strong that the Peoples Daily pushed coverage of his visit below the fold. Capitalizing on international attention to the Gorbachev visit, protesters blocked the Square and announced a hunger strike and the government sent 10,000 doctors and nurses and 100 ambulances, along with teams of sanitation workers and portable toilets. 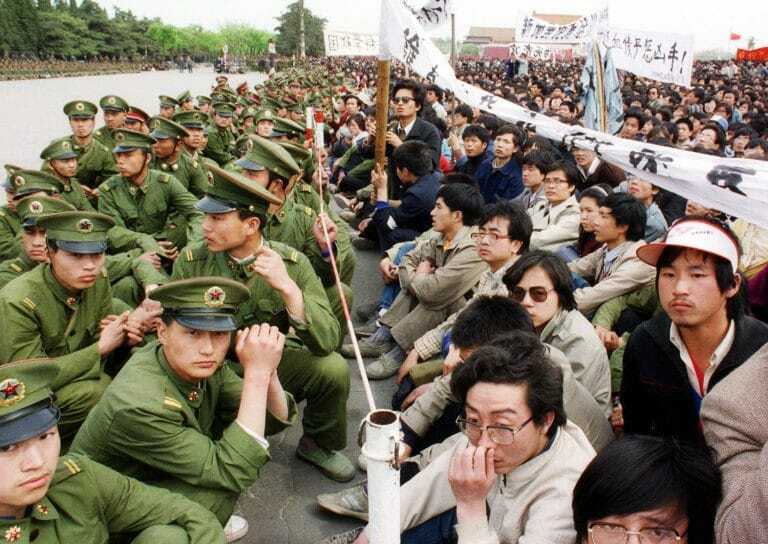 The hunger strikers demanded a dialog with the government and, when the leadership complied, demanded Deng’s retirement and insisted that troops then stationed outside the city be withdrawn and martial law canceled. The situation was volatile but, to elicit violence, a catalyst was needed and the CIA was ready to provide it. Having overthrown Iran’s government in 1953, Guatemala’s in 1954, Congo’s in 1960, Dominica’s in 1961, South Vietnam’s in 1963, Brazil’s in 1964 and Chile’s in 1973 it had developed a unique skillset and a team of experienced operatives. As The Vancouver Sun reported (9/17/92), “For months before the June 3 attack on the demonstrators, the CIA had been helping student activists form the anti-government movement, providing typewriters, facsimile machines and other equipment to help them spread their message, said one official. The CIA declined all comment”. The CIA moved Gene Sharp, author of the Color Revolution operations manual, to Beijing where the Agency’s financier, George Soros, had incorporated the tongue-in-cheekily named Fund for the Reform and Opening of China. CIA Director George H.W. Bush suddenly withdrew Ambassador Winston Lord from Beijing and replaced him with James Lilley, a CIA operative whose tenure in South Korea ‘coincided with profound political change’ and whose previous job was inserting covert agents into China. Lilley was in contact with China’s Premier, Zhao Ziyang, who had urged the country to ‘adopt a free press, freedom to organize, an independent judiciary and a multiparty parliamentary democracy’ and called for the privatization of state-owned enterprises, the separation of Party and State and market-oriented economic reforms: precisely the policies that destroyed the U.S.S.R. A year later. Deng arrested Gene Sharp but released him to British Hong Kong and from there he directed the insurrection, as he recounts in his memoir, Non-Violent Struggle in China. Voice of America’s Beijing chief and CIA field operative, Alan Pessin, offered the demonstrators comfort, encouragement, provocation, strategic guidance and tactical advice in round-the-clock broadcasts and students who were there still talk of the VOA’s promised land of ‘freedom and democracy’. From New York, the Taiwan-funded Chinese Alliance for Democracy issued an Open Letter to Chinese University Students which, posted in Beijing University’s Triangle on April 26, called for ‘consolidating the organizational links established during the movement, strengthening the contacts with the critics and strengthening support for the movement within all sectors of society,’. The Taiwanese government provided $1 million for walkie talkies, loudspeakers and tents and flew one of its most prominent members–and future Nobel Peace laureate–Liu Xiaobo, from D.C. to lead the protests. Infighting began immediately as the students’ chosen leader, Chai Ling–herself holding an emergency exit visa to the U.S.–accused Liu of using the student movement to ‘rebuild his own image’. Moderate student leaders, like Wu’er Kaxi, argued that, having made their point, the students should withdraw from the square and live to fight another day. Chai Ling, however, commanded her followers to stay, as she explained in an interview, “Some fellow students asked me what our plans are, what our demands will be in future. This made me feel sick at heart; I started out to tell them that what we were waiting for was actually the spilling of blood, for only when the government descends to the depths of depravity and decides to deal with us by slaughtering us, only when rivers of blood flow in the Square, will the eyes of our country’s people truly be opened…But how could I tell them this? How could I tell them that their lives would have to be sacrificed in order to win? If we withdraw from the square, the government will kill us anyway and purge those who supported us. If we let them win, thousands would perish, and seventy years of achievement would be wasted. Who knows how long it would be before the movement could rise again?” Her fellow organizer, Wang Yam, supported Chai Ling and called for violence. Six weeks after the protests began, at midnight on June 3, troops began to move from the railway station into the city under orders not to fire unless fired upon. An officer later testified at the official enquiry, “If we had been allowed to let ourselves go, one battalion would have been quite sufficient to quell the riot but, with rioters hiding behind onlookers, we had to stay our hand”. On the way in, one soldier was seized and thrown from an overpass, another doused with gasoline and set alight, one was clubbed to death and disemboweled and three major-generals were attacked and hospitalized. Rioters looted weapons and ammunition from captured trucks and attacked government buildings and leaders distributed knives, iron bars, bricks and chains, urging people to ‘take up arms and overthrow the government’. Godfree, Yes, those were my words [below]. But, I don’t remember what occasion prompted me to say them. Nor where you can find them. Only one slight correction. I did NOT watched from my “apartment,” but from my Beijing Hotel perch. It could have been in a paper (report) I gave at a meeting in New York. The meeting had been scheduled long before the June 4 1989. I was supposed to give a paper at the meeting. But, since I had come only a few days before when the meeting took place, I did not have the time to write a paper. So, I gave a report on what I witnessed at the Tiananmen Square, instead. “After midnight, I saw troops trotting on foot from the east towards Tiananmen Square, without helmets or weapons. As they were approaching the square, they were blocked by huge crowds and were forced to retreat, trotting back in the direction (east) they had come from. On their retreat route, the troops were chased by the crowds, many throwing rocks and bricks. Not long after, troops returned by truck, this time with helmets on and weapons in hand. By then, the crowds had set up more roadblocks. As the trucks were negotiating their way through, the crowds stopped them with a barrage of rocks. This free-for-all went on for some time, during which many soldiers were either killed or wounded; and some lost their weapons to the ruffians. Then came the armored reinforcements spitting sporadic fire, apparently in revenge, into the crowds along both sides of the road. Besides the ruffians and students, many were merely onlookers. The crowds, however, fought back hard. They climbed atop the on-coming tanks. Some even used Molotov cocktails or the equivalents of a flame-thrower against the tanks. One tank went ablaze. As the three soldiers inside opened the latch to run away from the heat, some hooligans shouted: “Kill them, kill them!” A BCC (Taipei) radio reporter on the scene recorded the shouting. He later told me that he saw the three soldiers killed by their maulers. A Chinese-American friend, in whose house I had been a dinner guest only two nights before, later called and told me that a similar attack took place in front of their apartment building. One soldier’s corpse, lying by an incinerated troop-carrier truck, I was told, was set on fire by his killers, who had poured gasoline on the body. In all the cases we knew, the ruffians were much older than most college students and did not appear to be students at all”. Informed that troops were approaching and shooting had started, the students began withdrawing from the Square at 5 am and were gone by 6:30. “At about 12:10 a.m., the troops marched in from West Chang’an Avenue. I was sitting on the steps outside the west entrance of the Great Hall of the People. When the troops marched towards the square, I saw a group of people throwing rocks at them. When a few soldiers went up to them, they ran southwards. These soldiers fired into the air. Then some other soldiers came up but they didn’t shoot at the crowds, otherwise I would have been shot, since I was now on the sidewalk. “I walked to the east entrance of the Great Hall where several hundred soldiers were sitting and some people were talking with them. The atmosphere seemed friendly. When I saw someone binding up a wound for a young soldier, I went up to help and asked him how he had been wounded. He told me he had been hit by rocks. He also told me that many of his comrades had also been wounded. I saw many whose heads, arms or hands were bound with gauze. I told him that I believed that the majority of the students and residents would not do this. He agreed with me. Then, an officer came to talk with us. 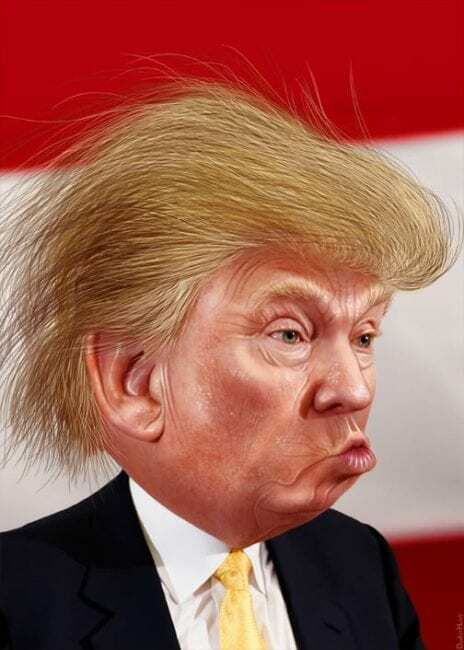 He said that the troops would never open fire on the masses or the students. At about 3:30 a.m., the troops began to fall in. The officer then said to his men: “We are going in to clear out the square. Now I want to make clear that no-one is permitted to shoot at the students or people; right now, this is the highest form of discipline. 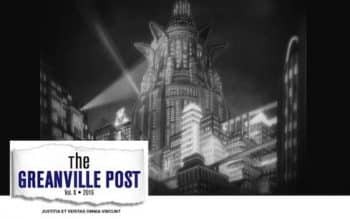 “About 4:10 a.m. all the lights at the square went out. A lot of soldiers came out from the east entrance of the Great Hall. I sat down to watch under the pine trees, feeling excited and nervous. I was nervous because this was the first time I had seen so many soldiers carrying guns and I didn’t know how they were going to clear up the square. ..At about 4:30, the martial law troops announced over the loudspeaker: “Attention, students. We have agreed to your appeal. We will allow you to leave peacefully”. The announcement was broadcast over and over again. At about 4:50, the students around the monument began to leave. I looked around and saw that there was almost no one in sight. So I came back with the students. That was at 5:05 a.m. This was what I saw at the time. No one was killed throughout the whole process. Some people with ulterior motives who had fled abroad spread rumors that Tiananmen Square had been a blood-bath and that they had had to crawl out from underneath the corpses, which was sheer nonsense”..
Taiwanese entertainer, Hou Dejian, summarized his experience of the finale: “Some people said that two hundred died in the Square and others claimed that two thousand died. There were also stories of tanks running over students who were trying to leave. I have to say that I did not see any of that. I don’t know where those people died. I myself was in the Square until six-thirty in the morning”. Future Nobelist Liu Xiabo, who remained to the end, said he saw nobody harmed in Tiananmen Square. Two weeks later, on June 19, Beijing Party Secretary Li Ximing reported the confirmed death toll of 241 ‘from a riot in Chang’An Road,’ including 218 civilians, 36 of whom were students, 10 PLA soldiers and 13 People’s Armed Police. Over 7,000 were wounded or injured. Journalists, looking for an easy story, told readers that the Tiananmen incident was a cry for Western values in the face of ‘Red Chinese totalitarianism’. They failed to mention the collapsing economy, reductions in student subsidies, suppression of free speech, preferential treatment for foreigners, outrageous corruption and millions of unemployed. Instead, they fabricated a massacre, just as they fabricated the Tonkin Gulf, Weapons of Mass Destruction and other atrocity stories. But their stories created an excuse to sanction China as an international pariah. In that regard, it was the most successful propaganda campaign in human history, and continued for decades, even after the ‘massacre’ story was disproved and Western editors just ignored anything that didn’t fit their narrative. Some, like the BBC’s Beijing correspondent, James Miles, later confessed to having ‘conveyed the wrong impression and that there was no massacre on Tiananmen Square. The vice-president of the Tiananmen student body and riot leader in Chang’An Avenue, Wang Yam, was subsequently smuggled to the UK and became a British citizen. In 2006 he was tried in London for bludgeoning an elderly man to death. The Crown asked that Wang’s trial be held in camera and the trial judge prohibited the media from speculating about why the trial was being held in private. Britain’s intelligence agency, MI6, subsequently admitted that Wang Yam was on their payroll. Wang’s is the only murder trial in 800 years of British legal history to be held in secret. You can see what Wang Yam did in Chang’An Road here.. or below.